VTB Capital, one of the bidders for India’s Essar Steel, has been involved in serious cases of corruption. After Victor Yanukovych was ousted in 2014, Ukraine’s authorities discovered that VTB Capital was the beneficiary of a $450,000 commission as part of a highly controversial issuance of foreign government loan bonds. Ukraine opened criminal proceedings against former Minister of Finance Yuriy Kolobov, who had ordered the money transfer to VTB Capital. Kolobov fled the country and was arrested under an Interpol warrant in Spain. But Ukraine’s new authorities failed to prosecute the former minister of Finance. Kolobov has joined a long list of Ukrainian oligarchs and government officials that have escaped justice and the VTB Capital case was buried. On 24 September 2014, the Security Service of Ukraine (SBU) launched an investigation against former Minister of Finance Yuriy Kolobov and other members of the Yanukovych government, over a US$ multi-billion bond issuance. According to SBU, the placement of the bond included an illegal transfer of a commission of $450,000 to Russia’s VTB Capital: “Abusing their official positions and violating the requirements of the law on the state budget for 2013, Kolobov and other officials organized and provided for the issue of state foreign loan bonds worth 3 billion dollars, and also illegally transferred the 450,000-dollar commission to VTB Capital plc (subsidiary of the Russian VTB Bank, London) for placing these securities”. In October 2014, Ukraine’s Prosecutor General Office opened criminal proceedings against Kolobov for embezzlement and appropriation of state budget funds in especially large sizes. The Eurobonds, issued in December 2013, just before the change in power in Ukraine, were part of a $15 billion aid package for Ukraine that Russian President Vladimir Putin had agreed on with Ukrainian president Viktor Yanukovych. Russia bought the bonds with National Welfare Fund (country’s sovereign fund) money. Russia’s state-owned VTB Capital organized Ukraine’s issue of the Eurobonds. On 18 December 2013, the Ukraine’s Cabinet of Ministers approved the issuance of a $3 billion in foreign government loan bonds. The resolution was initiated by the Minister of Finance Yuriy Kolobov. The sum exceeded the limit established by the law on the state budget for 2013. The Ministry of Finance issued the bonds on 20 December. On the same day minister Kolobov signed an agreement with VTB Capital PLC allowing the Russian company to market the bonds. 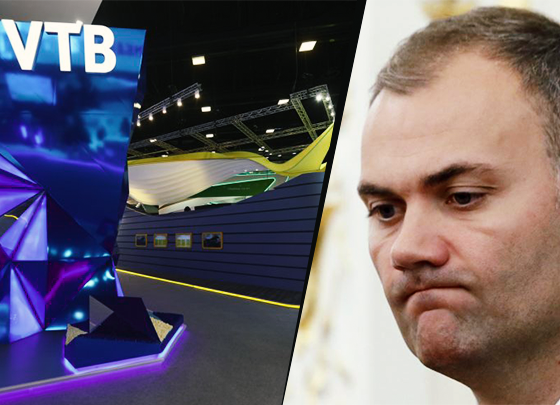 Yuriy Kolobov also ordered the State Treasury Service to transfer USD 450,000 to VTB Capital PLC as commission fees. The money was transferred from the State Treasury Service’s foreign currency account to VTB Capital’s account at Deutsche Bank Trust Company Americas New York. A former chairman of BTA Bank Ukraine (a subsidiary of Kazakhstan-based BTA Bank controlled at the time by oligarch Mukhtar Ablyazov https://www.oligarchsinsider.com/), Kolobov was appointed Minister of Finance by President Viktor Yanukovych in February 2012. Kolobov served until February 2014, when Yanukovych and his government were ousted after a wave of violent street protests in Kiev. Yanukovych fled to Moscow and Kolobov, who went missing from Ukraine in August 2014, was presumed to be in Russia too. Kolobov was arrested in Spain in March 2015. The fugitive ex-official was found in a flat in Altea hills, a luxury development on the Mediterranean coast near the holiday town of Alicante in an area known to be a Russian mafia retreat. However, Spain dismissed Ukraine’s extradition request. In August 2016, a Kiev court allowed the Prosecutor-General’s Office access to VTB Capital accounts under the case involving Yuriy Kolobov. The tribunal satisfied the PGO’s demand for access to documents on the account opened for VTB Capital PLC at Deutsche Bank Trust Company Americas, which were connected with the transfer of the commission fees. But Ukraine’s post-Yanukovych authorities soon proved to be incapable to curb corruption in the country. Highly publicized inquiries into corruption have been closed or abandoned. Some of the officials charged with enforcing the anti-corruption efforts have been themselves compromised. In September 2016, Ukrainian Prosecutor General Yuriy Lutsenko admitted “the possibility of a plea deal with Mr. Kolobov”. The PG announced that it was no longer interested in arresting the former minister but in “hearing Mr. Kolobov’s testimony in other cases related to Ukrainian-Russian relations”. The VTB Capital case was buried.